Ang Mo Kio police to quiz netizen over his online threat. 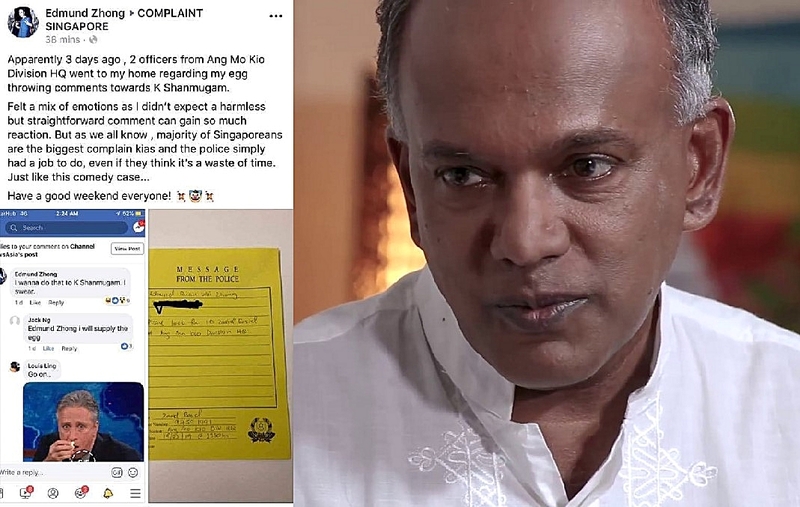 The police allegedly visited the home of a netizen, purportedly over a “harmless” comment he had made online about wanting to throw an egg at Law and Home Affairs Minister K Shanmugam. Facebook user Edmund Zhong had made the remark about wanting to throw an egg at the minister in the comments section of a post on Channel NewsAsia’s Facebook page. 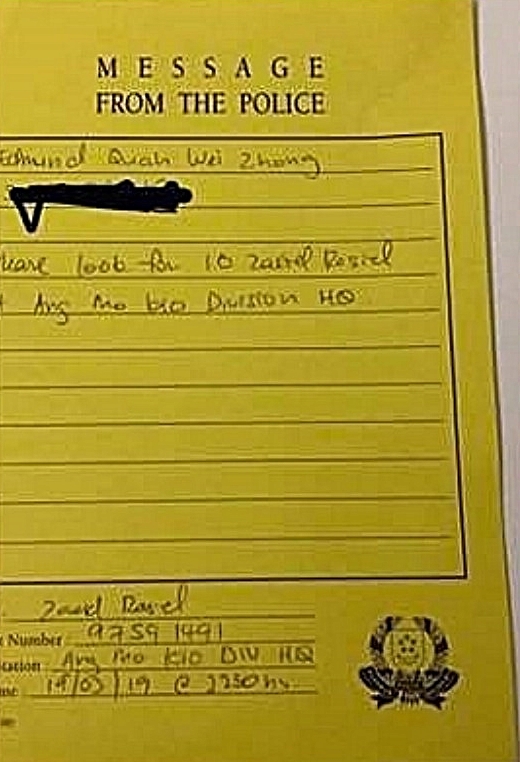 Sharing a screenshot of his original remarks and a photo of a notice the police apparently left at his door, Edmund revealed that the police paid a visit to his home over his online remarks. 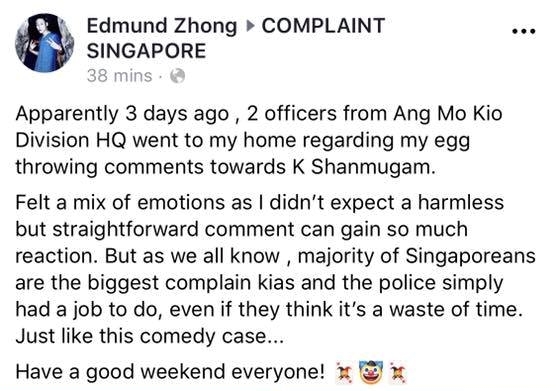 In a post on Facebook group ‘Complaint Singapore’, Edmund wrote: “Apparently 3 days ago, 2 officers from Ang Mo Kio Division HQ went to my home regarding my egg throwing comments towards K Shanmugam. Edmund appears to have deleted his post from the ‘Complaint Singapore’ Facebook page but a screenshot of his post is still circulating on social media. The Independent has written to the Singapore Police Force (SPF) for their comment on this matter and will update this story once we receive a response.